What are the Roth IRA contribution income limits? If your current earned income exceeds the amount above for your tax filing status, you can NOT make a direct Roth IRA contribution for the current tax year. However, you can make an indirect Roth IRA contribution regardless of your income (we'll address this later). If this describes you, then it's best to consult with a financial professional to find out the exact dollar amount of your contribution given the Roth IRA contribution income limits. 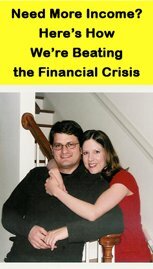 Earlier, I said you can make an indirect Roth IRA contribution regardless of income. This is because in 2010, Congress eliminated the income limit on Roth IRA conversions. As a result, anyone regardless of income can perform a Roth IRA conversion. And this opens the door for you to make an indirect Roth IRA contribution if your income currently exceeds the Roth IRA contribution income limits. Because no limit exists in regard to non-deductible Traditional IRA contributions. You can, regardless of income, make non-deductible contributions to a Traditional IRA. You just made a Roth IRA contribution. 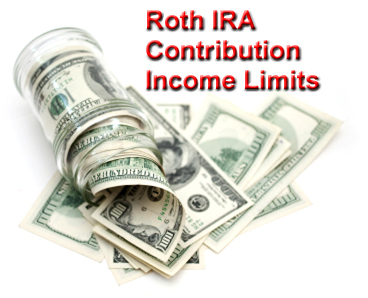 You must adhere to the Roth IRA contribution income limits established by the IRS. However, if you currently earn too much under the income rules, don't despair! Anyone regardless of income can perform a Roth IRA conversion, opening the door for almost anyone to indirectly contribute to a Roth IRA.